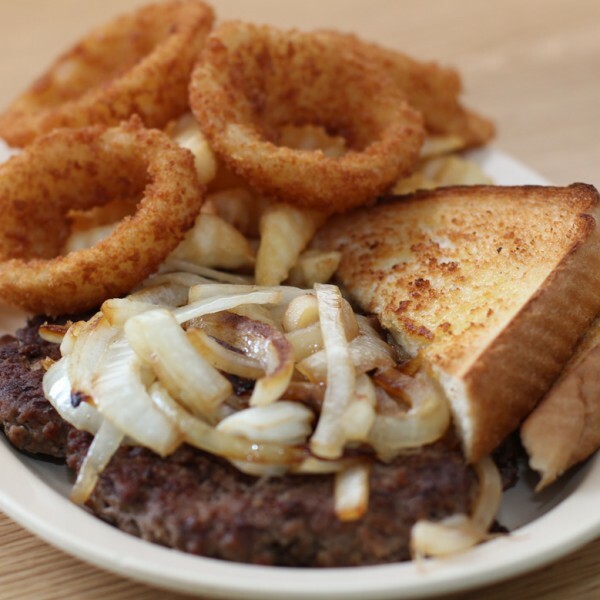 Dinners are served with your choice of onion rings, french fries, or baked potato, and choice of slaw or garden salad & toast. Hand-formed in our restaurant from meat that arrives fresh every day. Add-ons $0.65 each: Cheese, Mushrooms, Gravy, Onions, Peppers or Jalapeños. Four fried chicken strips, cooked to order. 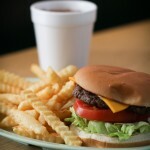 Served with honey mustard, BBQ, or ranch dipping sauce. A large portion of fried shrimp with tails. Two fried boneless chicken strips and our fried shrimp. One fried flounder fillet and our fried shrimp. 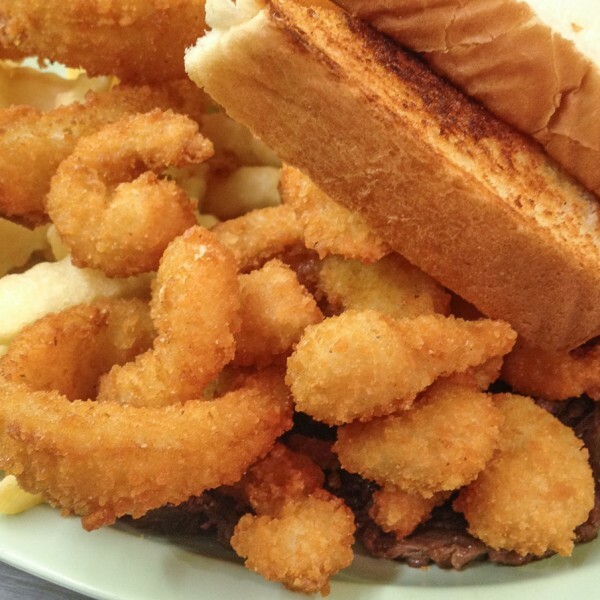 A sliced 4oz ribeye steak and fried shrimp. Grilled boneless chicken breast, tender and juicy. One fried or grilled bone-in pork chop. Made fresh in the restaurant using our secret recipe. Crispy hand battered and fried chicken livers. Hamburger steak, small garden salad & drink.